A Berlin art installation dedicated to ‘martyrs’ has prompted outrage by including one of the Paris jihadist attackers alongside the likes of Martin Luther King and Socrates, with the French embassy calling the display ‘deeply shocking’. 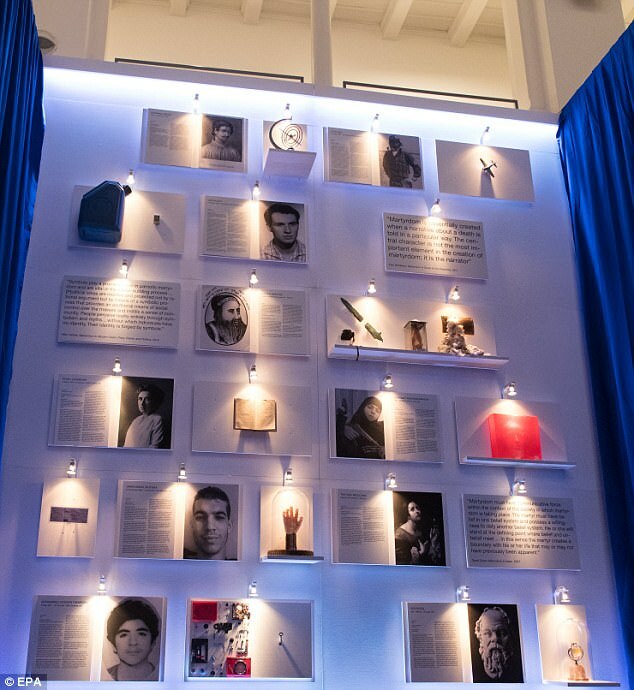 The so-called ‘Martyr Museum’ by a Danish art collective shows the portraits of 20 people throughout history who ‘died for their convictions’ accompanied by short biographies. Also sharing a wall with US civil rights icon King and Greek philosopher Socrates is Mohammed Atta, the pilot who slammed a passenger plane into one of New York’s World Trade Center towers on September 11, 2001. The week long installation by the art group, The Other Eye of the Tiger, was inaugurated last Wednesday at the Kunstquartier Bethanien art centre. The French embassy in Berlin expressed ‘consternation’ and said it found the decision to include the attackers ‘deeply shocking’. ‘While keeping in mind our attachment to the freedom of artistic creation, we strongly condemn the confusion here between martyrdom and terrorism,’ it said in a statement. But the art collective defended the show, saying that it condemned any kind of violence or terrorism and that it was merely taking a wide look at the usage of the term ‘martyr’. 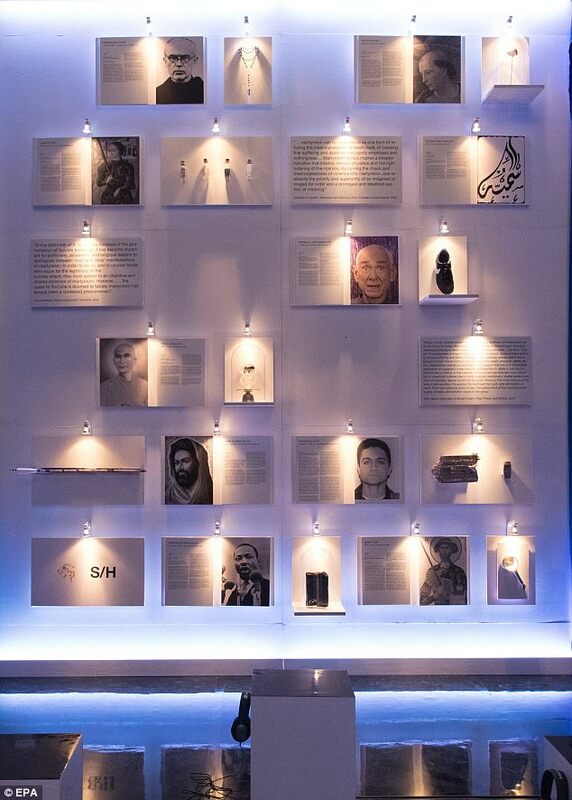 ‘All the martyrs in the artwork have been appointed martyr by either a state, religion or an organisation. None of the martyrs have been appointed by the artists,’ it said in a statement. Berlin city hall authorities distanced themselves from the project, saying in a statement they did ‘not support it’ and had not provided any financial assistance. An earlier version of the ‘Martyr Museum’ in Copenhagen in 2016 also caused controversy, with critics filing a police complaint accusing the artists of ‘encouraging terror’. Previous PostUN: Jerusalem no longer JewishNext Post“That’s not who we are”, really? Firebomb it and burn it to ashes. Splash it with red paint as part of the art and theatre.